Fast cars.. Fast Food.. Fast WiFi.. I have been a fan of fast things right from the beginning. I am the second word for 'impatience' so you know how much I low speed in no matter what case it be! If you got to read this recent post of mine where I introduced all you folks to Airtel 4G, you will know that this punch of speed by Airtel has come as a blessing to me. Some slow things heart. A lot. The worst of worsts is slow internet connectivity! I would any day prefer 'no internet' over 'slow internet'. It kills to keep your eyes glued to the loading button which keeps rotating endlessly and testing your patience! After experiencing the speed of the Airtel 4G sim, I am over the moon now! Guess what! Thanks to Twitter, I got myself a free 4G sim home delivered to me by the Airtel folks within an hour of applying for it. :D I was pretty excited about the whole buzz and couldn't wait to use it on my Moto G. The result was higher than what I had expected. Shocking actually! What I experienced with this sim is far more than what I had expected. My phone is a dual sim phone and hence I got to actually compare my two sim cards. The difference was really astounding! I had a 3G sim before this and as have used it for a year now, I could instantly point out all the amazing differences between the 3G and the 4G sims. The 4G sim is about 3 times more faster and efficient than the 3G sim and not just the internet, the network of the sim is superb too! I am totally awed by this revolutionary speed backed sim and am sure it's going to win each and every heart. I am so excited to explore every bit of it and just to put it on a test, I keep downloading stuff like bulky games, fun apps and of course, all the TV series I have missed :P. Glad to say that every time, the 4G sim impresses me and leaves me awed. It's that perfect dash of speed which I need to brighten my mood instantly! If you missed it a few days back, make the smart move and book it NOW! 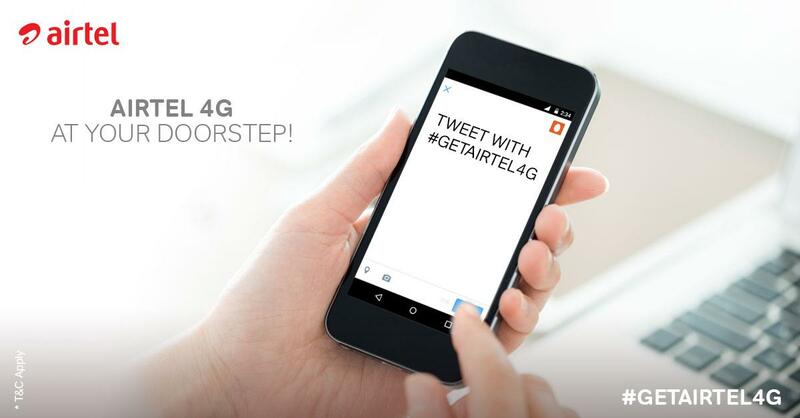 Go check Airtel India's Twitter TL and this website for more! Images are taken from Airtel's Website.